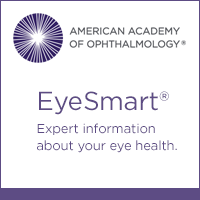 Link your website to any page of the EyeSmart® website with a text link or by using one of the images provided in English and Spanish below. 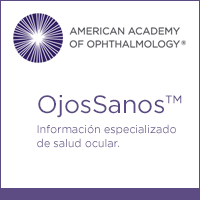 Use the page title: e.g., "Do you want to know what are cataracts?" Use a short descriptive phrase:, e.g., "Find out what you need to know about recognizing and treating eye injuries." Choose which button(s) you want to use from the selection below. The image below each piece of code shows how it will look on your site. Copy the code and place it on your website. Note: The specific procedure for getting the code onto your website will vary depending on the way your site is set up. You will need to work with your own website maintenance staff to do this.